Pro Air Duct is your quality air duct specialist in Fort Worth, TX. We specialize in Air Duct Cleaning, Dryer Vent Cleaning, Ventilation System Cleaning, Attic Insulation, and Duct Installation and Replacement. Our team consist of highly trained professionals to make sure you receive the best Air Duct Cleaning service in Fort Worth. The quality of the air in your house or business is an important factor to make sure the air you are breathing is clean. We are here to make sure the air quality of your home or work is as clean as possilbe. 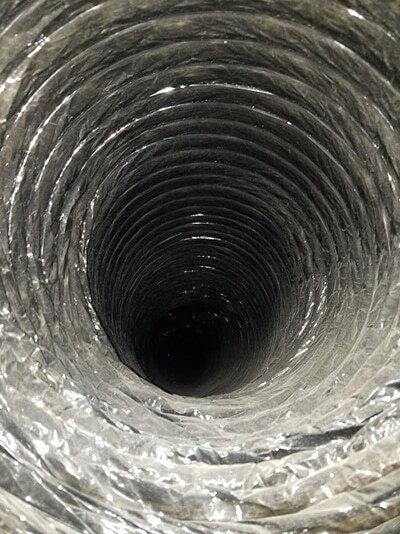 There are many reasons in order that you may need an air duct cleaning in Fort Worth. An HVAC system is designed to circulate air within an area for comfort and air quality. Over time the build up within the system become filled with dirt and unwanted particles. The debris and particles of the air and trapped within the ventilation system to that you aren’t breathing harmful particles and instead, clean air. If an air duct system has a lot of dirt and debris that has built up over time, the system has to work much harder. That’s why it is important to clean our your air ducts regularly so that you can be sure to have the best quality air. The quality of indoor air is important to maintain. You always want to make sure your Air Ducts are free from harmful particles. Pro Air Duct in Fort Worth is your top choice for Air Duct Cleaning Services. Always breathe in the cleanest indoor air with our Air Duct Cleaning Service. 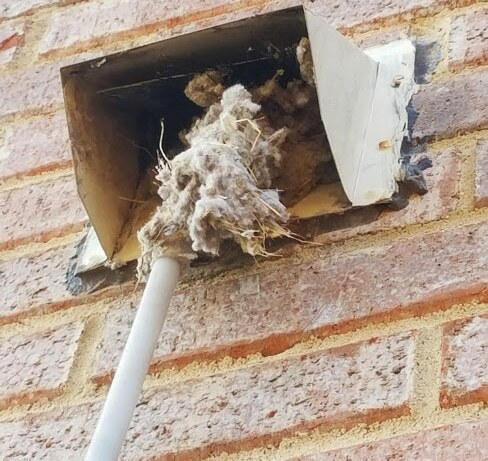 Fort Worth Dryer Vent Cleaning Service in Fort Worth should be done by a professional company. 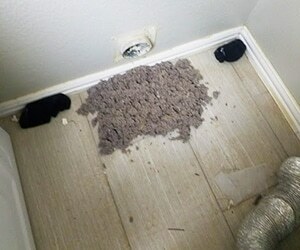 Pro Air Duct cleaning our your dryer vent to be free from built up lint and debris. 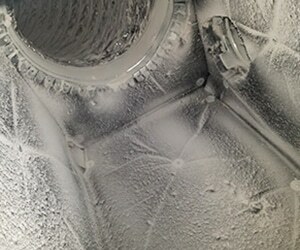 Make sure your dryer is working it’s best by using our Dryer Vent Cleaning Service. If you have old or torn ducts in your home or business that are no longer working properly, give us a call today. We specialize in Duct Replacement and Duct Installation in Fort Worth, TX. Don’t go another day without ducts that are no longer getting the job done. With our Attic Insulation service, you will be sure to see a drop in your electricity bill. If your attic is not insulated or the insulation is very old, your HVAC system is working way harder to keep the indoor air temperature regulated. Call us today to learn more about our Attic Insulation Service in Fort Worth. Many people go a few years without cleaning their air ducts. They think of it as an unnecessary expense. The thing they don’t realize is that with the time, air ducts accumulate all the dirt and debris that has been circulating in the air. When air ducts are dirty, the air quality is also dirty. The HVAC system is not filtering and working as hard as it can when the air ducts are filthy. This leads to you breathing in the harmful particles that are in the air not getting filtered. Proper air quality is important to maintain and can also help with asthma, allergies, and other associated breathing problems. Below is before and after photos of an air duct. Notice all the dirt that has built up in the vents. 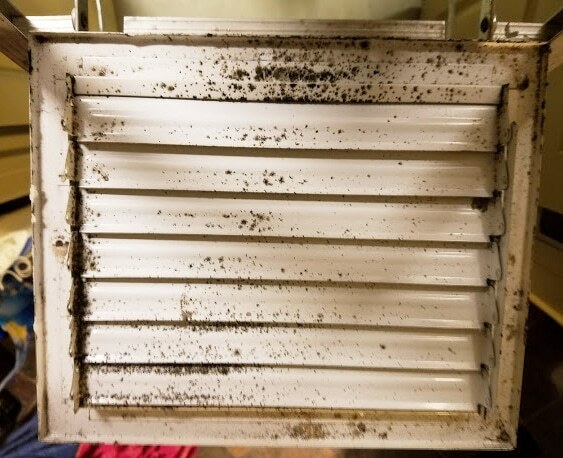 It’s not something we think about everyday, but after you see what’s inside, you understand the importance of an Air Duct Cleaning. It is recommended to clean your vent system at least once every two years, and changing your air filter once a month. So, when it’s time for your Air Duct Cleaning Service in Fort Worth, call Pro Air Duct today. Call us today to schedule your appointment or ask any question your may have about our services. Our job is to make sure the air quality in your home or office is clean. You should be breathing in fresh, quality air everyday, and with our Fort Worth Air Duct Cleaning, you can be sure we will make that happen. Keeping Your Ventilation System Clean With Other Services We Provide. To achieve top indoor air quality, Pro Air Duct in Fort Worth has provided you with a list of cleaning services where dirt may be lurking. Many people do not even know to clean certain areas of their home or business, but it is essential in order to eliminate harmful particles from the air. Air Quality is especially important for those who suffer from breathing problems and allergies. As the top Air Duct Cleaning company in Fort Worth, we extend our other services to you. The air-handling unit that is responsible for the working of the airflow in the heating and cooling systems is called as the ‘Blower Motor’. This is the very component of the systems that hoards an excessive quantity of dust, thereby decreasing the effectiveness of the system. This may even result in the failure of the fan motor to work. Pro Air Duct have a team of efficient technicians who take care of the cleaning of the AC blower motor and inspect it. The cleaning of the coil is essential to ensure that your furnace is in the best condition and runs smoothly. The coil cleaning process includes the following steps: removal of the front AC grille, clean and vacuum the dirt, dust and debris out that has been settled inside the AC coils, finest AC coil cleaners are used to decrease and spray on AC coils, and the front and back of the AC grille assembly is cleaned. The process used consists of the following steps:To not dirty the surrounding area, cover the fireplace area. Ash or burned wood will be cleaned and swept away.To remove debris from the chimney a hard metal brush with extendable rods will be used.The collected debris will be vacuumed out of the home. It is important to clean the rain gutter regularly since leaves and debris gets collected in the gutters congest the downspout that results in overflowing gutters. Then, the water gets on your siding or windows that cause mold and splash of sand on the sides of your home or office. The mold and wetness over a period of time will begin to decay. Pro Air Duct provides servicing the rain gutters for the free flow of the rain water. When you are looking to hire an expert Air Duct Cleaning Company in Fort Worth, it is important to do your research and choose wisely. Today, there are many scams from unreputable companies. So, it is best to choose a company that you can trust. Pro Air Duct in Fort Worth is a trusted company with expert service and affordable rates. Listed are a few recommendation we have when searching or a Fort Worth Air Duct Cleaning Company. Prior to hiring an air duct cleaning company, ask for recommendations/referrals from friends and neighbors who have already availed their cleaning services. This way you’ll have an idea about their performance and if the money paid was worth it. Expect a full cleaning of the HVAC system, not just the ductwork. Make sure that the air duct cleaning company is legit. This is best evidenced by a certification from the National Air Duct Cleaners Association. NADCA is a company responsible for setting high standards for HVAC system and the cleaning process. Get involved in the air duct cleaning process by inspecting your HVAC system before and after cleaning. It should be spotless and efficient, otherwise, request a refund or let the cleaning team repeat their job.